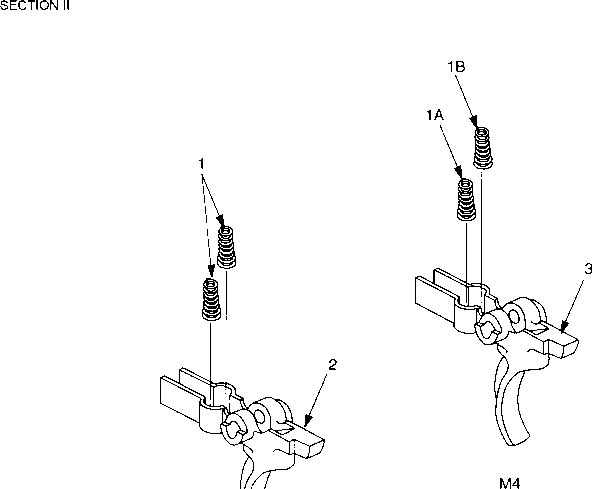 Figure C-13. 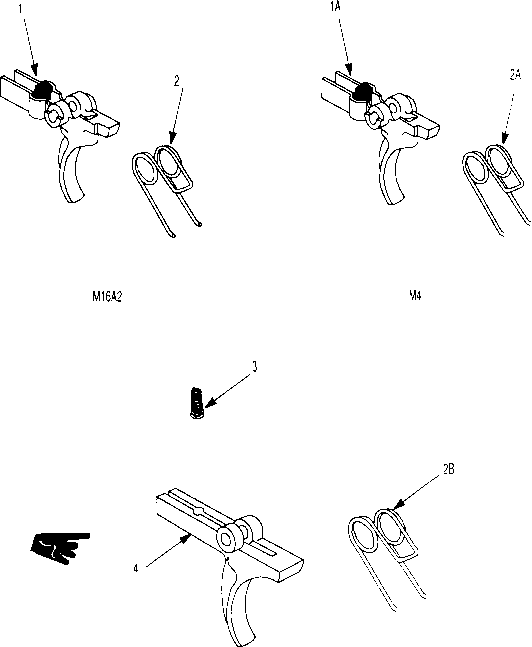 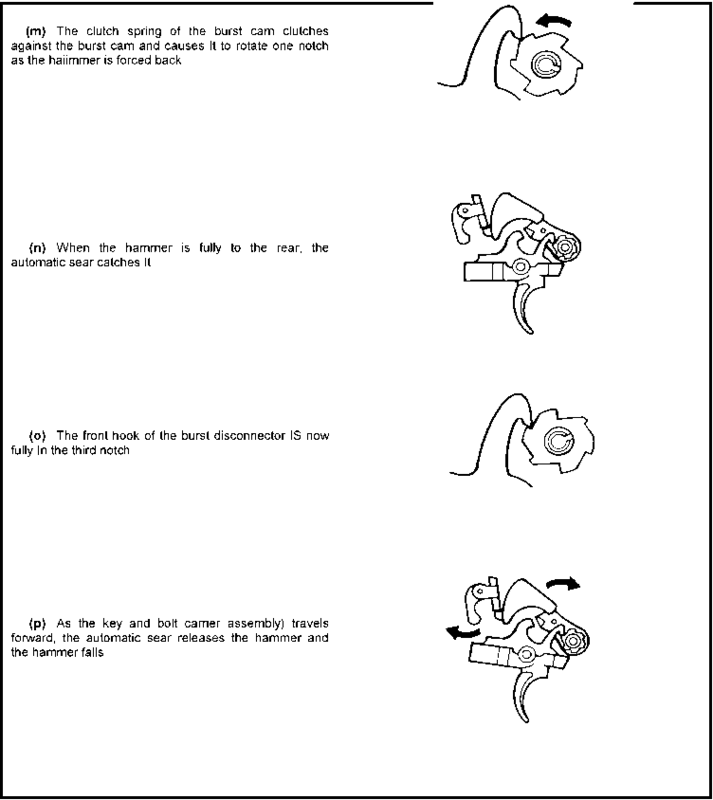 Hammer Assembly(M16A2) 9349106, (M4) 9390032, and (M4A1) 8448610. 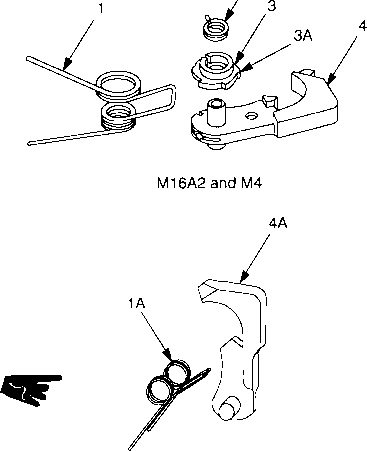 What level of maintenance is the trigger assembly on an m4 army?